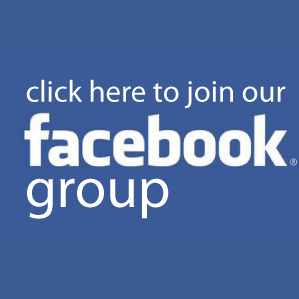 We started out in September of 2008 with Jeremy Reipold and Travis Sinclair. We started this out as a website to help cover the news in Western Mass. We then added Joe Leonard who helped give us the support to cover shows and take photos. We gradually expanded and currently cover shows all over New England to try to give the fans the best local and regional coverage possible. We all have other full time jobs/families and we do this for free, but I think we all agree, it is a hell of a ride! Thanks for your support and here is some information about our team members. Jeremy Reipold AKA: "The Boss" as we call him, lives in the foot hills of Western Mass. He is an active amateur Mixed Martial Artist who specializes is Jiu-Jitsu. His record shows that he has a great all around game with the majority of his wins by way of first round submission, a first round K.O., and a decision over a young up and comer. He is co-owner and founder of WesternMassMMA.com and a contributing writer. He enjoys analyzing and breaking down MMA bouts to determine the possible winner and the way the bout will be won. You can follow The Boss's Picks anytime there is an upcoming Pay-Per View or nationally televised event. When attending local events he plays several major roles if he isn't in the cage himself. When "The Boss" is behind the camera he enjoys being cageside. In recent months he has begun to collect candid shots of the winning fighter immediately after each bout hoping to capture the excitement of the victory letting the fighter strike that all important Beast Mode posture seen in our FBgallery. He is co-owner of The Web Mixed Martial Arts Training Center located in Greenfield, MA, the lead instructor, and Team Manager of Team Ravenous. His dedication to local MMA, the fighters, and our site are what keeps WesternMassMMA.com running like a well oiled machine. Ed Warchol AKA: "War-child" was recruited as a photographer in 2012. Ed is a quick study and a hell of a nice guy, but lurking beneath that soft exterior is a monster waiting to be unleashed. His no non-sense attitude about sobriety and good hygiene make him our first choice for rides to shows. Well at least the sobriety part. He has a Volkswagon Torag that we all love to ride to the shows in. Ed likes the finer things in life. His taste in women is impeccable, his choice of vehicles, even his decision to buy an $1,100 camera seems to have been a great move. A little known fact about the man in the knock-off Tapout T is his love of midget fights. You know, it's true what your mother said about needing to watch out for the quiet ones. Ed is a man of few words, but his affect is always one of up-beat and go with the flow. 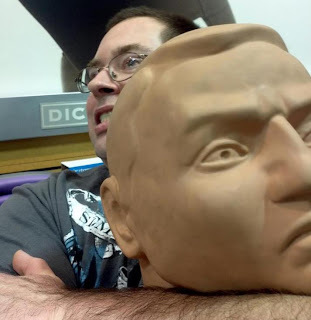 Travis “Full Contact Writer” Lizotte is a native of Eliot, Maine and currently resides in Dover, New Hampshire with his wife Tina (who also travels with him to most shows). Travis has been attending local shows throughout the Northeast since late in 2009 and met Travis Sinclair at a Combat Zone event at some point in 2010. Lizotte was a three sport athlete in high school (Baseball, Football and Golf) but fell in love with MMA when the sport caught his interest in the early 2000’s. 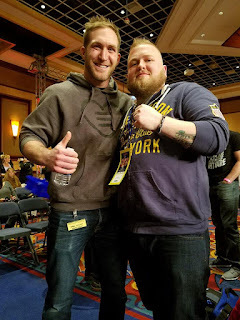 Throughout his tenure on the local scene Travis has attended more than 30 live fights before his addition to the website. Before his addition to the WMMMA team Travis would use the website as a tool to follow the results of his many friends fighting on the New England circuit. Travis used his love for MMA and history as a hobbyist to amass a large collection of fight memorabilia and is also well known in the collecting industry as a top UFC trading card collector. Although a fighter he is not, Travis has trained at several gyms across the region including Nostos MMA, Team Link Hooksett and Anubis thus developing friendships with many local warriors. Travis, like the other writers on the page is writing for the love of the sport and to support our local fighters. 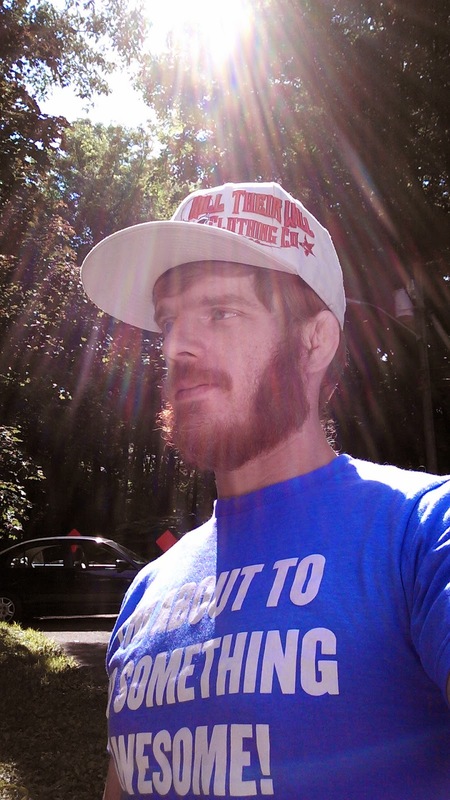 Travis joined the Western Mass team late in 2016 as its primary writer for the CES promotion but has also added insight on other regional promotions and helps keep our website strong with his relationship with some of the top fighters in New England. 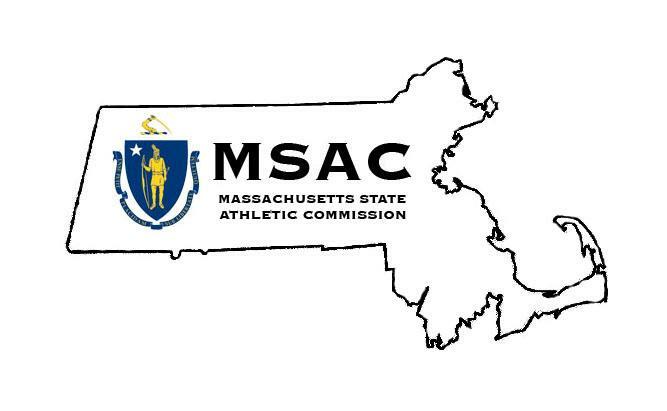 Travis looks forward to working with fighters and promotions in effort to strengthen Westernmassmma.com’s relationship with the Northeast MMA world and beyond. Todd Selva is a co-founder of RavenousMMA and our number 1 fitness professional. His talents are many and include personal fitness instruction, business consulting, diet consulting, fighter promotion, photography, and on occasion a bit of writing. Todd is always looking to find a way into the cage and with his hunger for the game and wealth of fitness knowledge he's bound to be in one very soon. 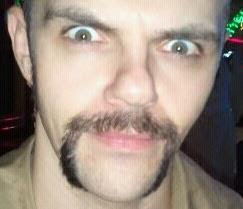 Gary Emond is a member of RavenousMMA who excels at both being creepy and Jiu-Jitsu. Gary has spent countless hours on the mats honing his own unique style of Jiu-Jitsu based on many of today's most effective and groundbreaking techniques formed in the minds of people like Gracie, Palhares, and Bravo. Gary has been one of our greatest assests in and out of the gym due to his exceptional talent for capturing exciting action in the cages of Western Mass from behind the lens of our Canon T3i. 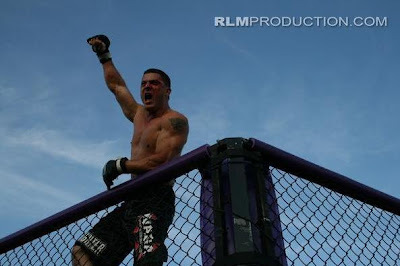 Scott Stacy is a member of RavenousMMA who's dedication and hard work have earned him his place in our fighters corners. His ability to hold pads and strengthen our striking game put him in a class of his own within our growing MMA program. Scott also finds himself behind the camera at local shows where he receives much praise for his attention to detail. Often fighters comment on how he is able to capture a moment they couldn't remember due to the stress and pace in the cage. Chuck Garbiel is a personal fitness instructor who's skilled in Muay Thai Kickboxing, Power-Lifting, business administration, and writing. Chuck is a full time restaurateur who's enjoying the challenge of self employment at The Shady Glen Restaurant in nearby Turners Falls, MA. Kym Sturdivant is one of our favorite writers for the site. His humble views and concise writing allow our readers to gain knowledge and awareness in all aspects of the sport. 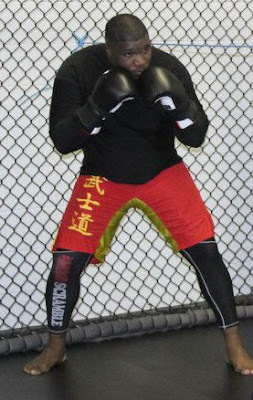 Kin Moy is a young up and comer in MA MMA. His skills are vast and at such a young age he's sure to raise a few eyebrows in the near future. Kin has written for us and been welcomed by our readers as a welcome addition to our crew of professionals. We can't wait to see more fights and read more articles from the man. 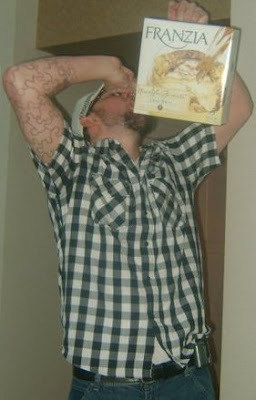 Joe Leonard AKA:"The Artist" as we like to call him, lives in Western Mass and is a jack of all trades for our team. His love for the sport coupled with a hands on knowledge of website design and optimization have helped to establish our site as one of the best in New England. 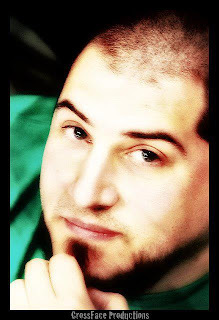 He is not only a core member of WesternMassMMA.com, but he is also our lead photographer. He works closely with Frontier Community Access Television in order to get WesternMAssMMA.com the library of local fights amassed over the last few years and also is a contributing writer to the site. One of his chief tasks has been to network and create open lines of communication with all the major parties involved in MMA which include fighters, fans, promoters, and officials. He is an asset to our team and although we could function without him we would rather not. Joe is also a member of Team Ravenous MMA fighting out of RavenousMMA Training Center in Greenfield, MA. 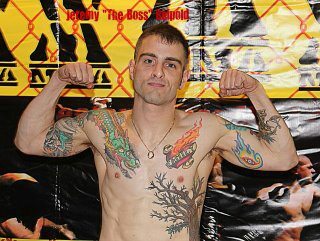 He made his amateur debut on 8/24/2012 for Warrior Nation Xtreme Fighters Alliance. Keep up with his progress here. If you have any ideas/comments about the website please don't hesitate to send an email to westernmassmma@gmail.com. If you want to use our pictures or reviews on your website just email us first and we can work out something. We are very flexible. info out don't hesitate to email us and we will see what we can do.